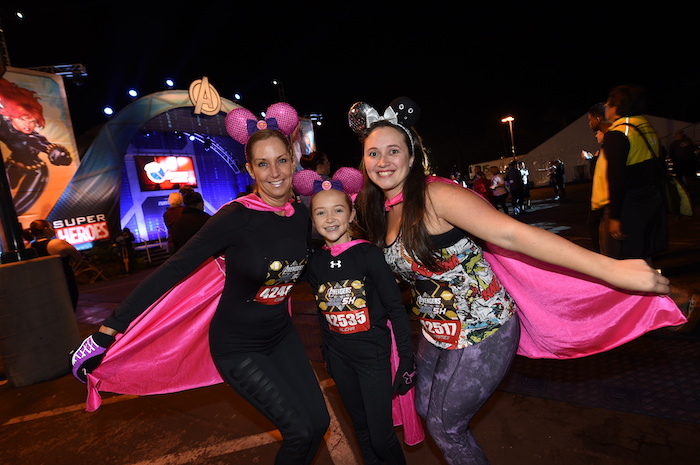 If you’re thinking about participating in a runDisney race but don’t know where to start, this blog post is for you! 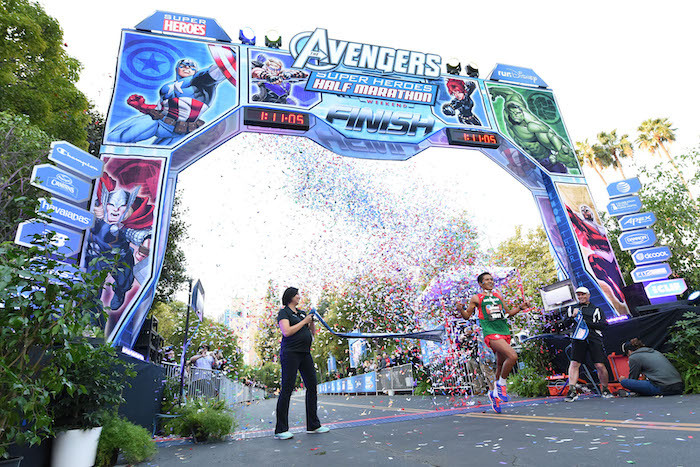 The first finisher crosses the finish line at the 2015 Avengers Super Heroes Half Marathon at Disneyland Resort. Photo courtesy of Disney. 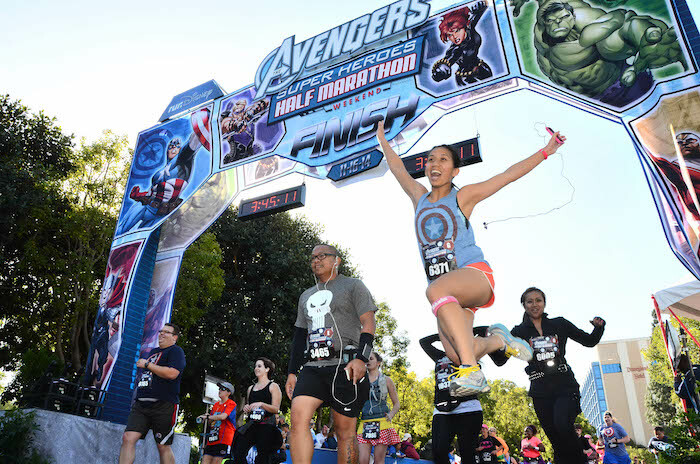 In 2015, I was feeling rather adventurous when I randomly decided to sign up for the Avengers Super Heroes 5k at Disneyland Resort. To say I was not a runner is an understatement. I wouldn’t say I have a fast metabolism, but it’s just fast enough to trick me into thinking I don’t need to exercise. I am as average as it gets. If I can do it, you can do it! 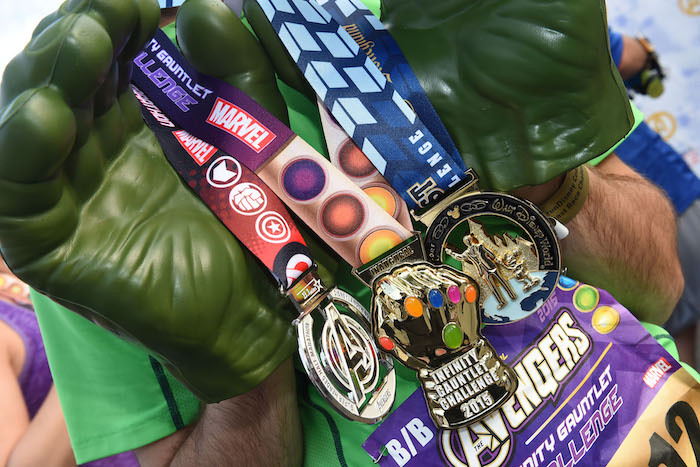 Here are my five tips to prepare you for your first runDisney race – things I learned the hard way so you don’t have to! 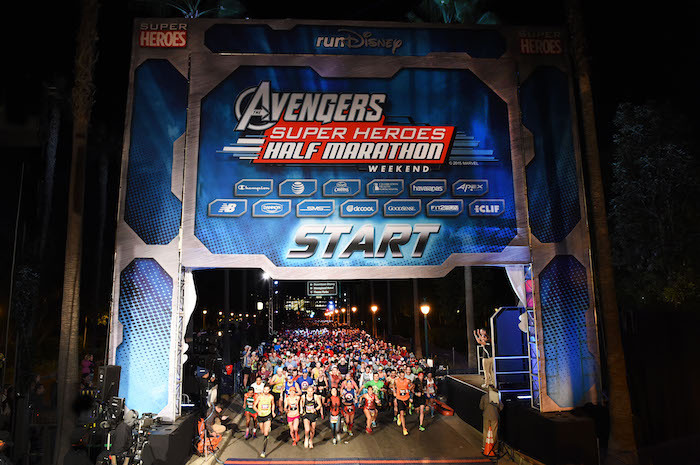 The 2015 Avengers Super Heroes Half Marathon starting line. Photo courtesy of Disney. These races can fill up pretty fast so in order to secure your spot you’ll want to sign up as early as possible. Some races are so popular you’ll need to be at your computer ready to register the minute registration goes live! 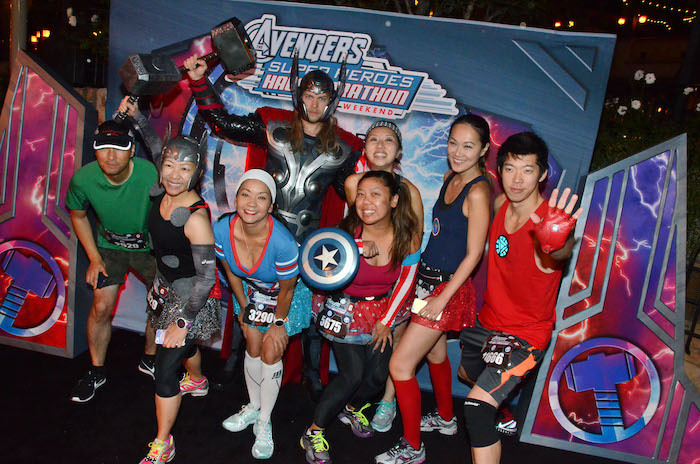 When I registered for the Avengers Super Heroes 5k in 2015, I originally wanted to run the Captain America 10k. Mere hours after registration opened, the 10k was already sold out! 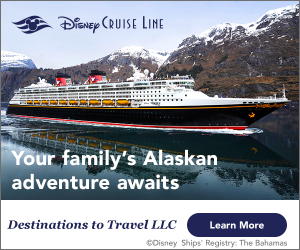 Disney posts these events well in advance, so take a look at the line-up and start planning BEFORE registration opens. Click here to see this year’s event line-up. A runner shows off his medals. Photo courtesy of Disney. 2. Don’t skimp on training! Some people can just wake up on race day and miraculously run a race without breaking a sweat. I am not one of those people and it’s ok if you’re not too. There are many programs and phone apps out there that can help you ease into running. Disney even has some training guides that you can download right from the runDisney website! runDisney 5k race training guide from the runDisney website. The key is to alternate between walking and running during your workout, increasing the amount of run time each week. For example, if you were to follow the training guide above, during week one you could try walk 3:00 / run 1:00 / repeat for 1.5 miles. 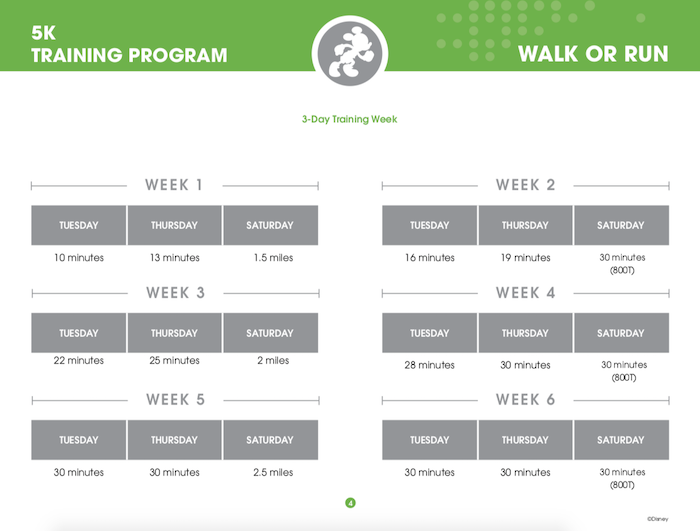 By week three, you could try walk 2:00 / run 2:00 / repeat for 2 miles. This will gradually increase your stamina and make it so you’re less likely to get injured come race day. Make sure to start many weeks in advance to give your body enough time to adjust and get comfortable with running. It will make a world of difference! Click here to check out the runDisney training guides. Runners show off their costumes. Photo courtesy of Disney. This isn’t just an ordinary race experience. This is a Disney race experience! 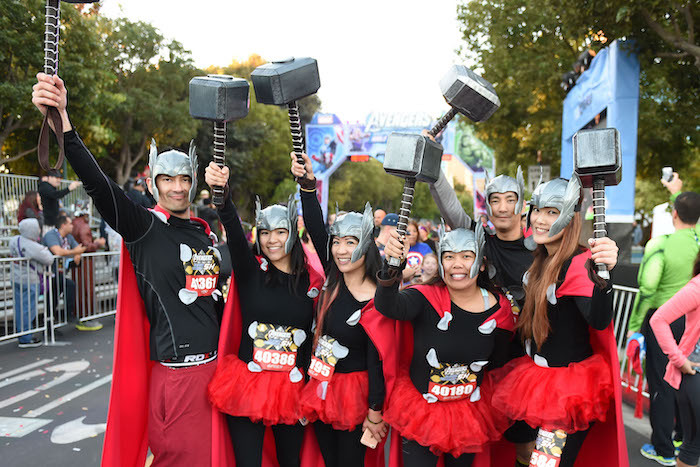 Many runners get creative and dress up in Disney-inspired costumes. It brings a level of fun to the event that is unlike any race I’ve ever experienced! But if you’re going to dress up, it’s best to make sure your costume is fun AND functional. If your costume inhibits your safety or the safety of those around you, you will be asked to exit the race. I suggest wearing normal workout attire with a little added magic, like a cape, a tutu, or Minnie ears. You don’t want to make the race harder than it needs to be by having to lug around a big costume! Runners cross the finish line. Photo courtesy of Disney. (Scott Brinegar, photographer). If you’re going to follow only one of these tips, let it be this one. Hopefully you listened to tip #2 and trained before the race. That will make pacing yourself way easier. You will have an idea of what your body can handle so you don’t over exert yourself. It’s easy to get swept up in the excitement as the race starts and to try to keep up with those around you. If you’re having trouble keeping up, don’t worry about it! Take your time. Stop and walk if you need to. You don’t want to be that person who over exerts themself at the beginning of the race and then can’t finish because of it. The easiest way to pace yourself is to alternate between walking and running, just like your training. Character meet-and-greets are sprinkled throughout the race course. Photo courtesy of Disney. (Scott Brinegar, photographer). You could even take a break by stopping for one of the many character meet-and-greets sprinkled along the race course. If you don’t listen to your body, you could get sick or injured and no one wants that to happen! Whether you’re a seasoned runner or just starting out, the best advice I can give is to have fun! Even if you’re not a runner at all, you can join in the fun by signing up to be a spectator. This event really has something for everyone! The sense of community brings the energy and excitement to a whole new level. I’ll never forget the feeling of crossing that finish line and hearing all of these strangers – people I have never seen in my life and will probably never see again – cheering me on like they were an old friend. It was an experience I will never forget! Interested in participating in a runDisney race? Click here to go to the official runDisney website.